Pedro Rodriguez - An absolute bargain at £19m and one of the best Chelsea signings made in recent years. 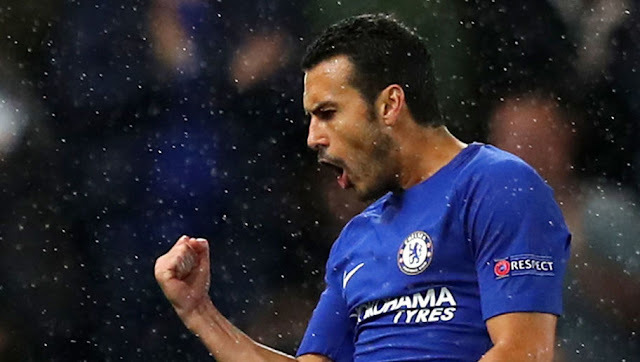 As more and more money is ploughed into the Premier League with TV and commercial deals leading to the inflated transfer fees paid for mediocre players this past summer - Pedro Rodriguez signing for Chelsea at a cost of £19m has turned out to be an absolute steal. Having played in arguably the best football team we have ever seen under Pep Guardiola at Barcelona and having spent a decade there, it was a surprise to hear that Chelsea were linked with a move for Pedro Rodriguez. To then seal the deal to bring him to our football club for under £20m at the time felt like a masterstroke as we all knew the quality he would bring to Chelsea. For whatever reason after an excellent start away at West Brom, Pedro's form declined with the rest of his team mates as Chelsea, the then reigning champions of the Premier League, found themselves languishing in tenth place and Jose Mourinho sacked as manager for a second time. We needed the season to be over as quickly as possible to look to the future despite Pedro catching the eye with his goals and overall performance. It was still some way off where we knew both he and the team should be. Last summer Antonio Conte came in and took over with the rest being history. For Pedro Rodriguez Conte's arrival gave him and existence with a purpose within the framework of Conte's team and he flourished showing signs that he was back to his ultimate best scoring decisive goals while making important contributions in games. It sounds ridiculous to say it but it almost seems as though Pedro remains under the radar when it comes to most of the headlines about the team and our performances in the last year or so. He was playing so well last year that Willian found himself out of the side because it was impossible to leave him out of games. Pedro comes from that lauded side of Pep Guardiola's back a few years ago at Barcelona. That team was famous for it's high pressing game and how quickly they looked to close people down to win the ball back in their oppositions own half. He has brought that work ethic to West London as we have seen many times already. For any football team to be successful you must have a solid defence and a team full of players who are willing to work hard with and without the ball. With the ball you look for your players to be devastating and without it to win it back as quickly as possible. For just £19m , Chelsea signed exactly that player in Pedro. If Chelsea are to make a realistic challenge this season for trophies then Pedro Rodriguez will play a key role for Antonio Conte. Without question he has been outstanding for us and we all hope he continues to grow and get better. Just £19m! What a signing.